Opening times Building open: Tue–Sat 10am–8pm, Sun noon–6pm; Exhibitions open: Tue–Fri noon–5pm; Sat & Sun noon–6pm; closed Mon. A mixed-arts venue comprising two galleries, two theatres and studio space, along with a cafe and Hidden Garden, Tramway favours experimental and genre-bending theatre and dance productions and world-class art exhibitions. 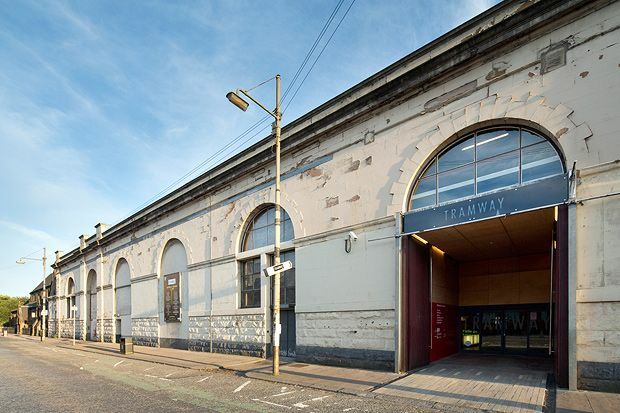 With its ample space and well-respected name, Tramway also works in partnership with many outside organisation, including the ARIKA and Sonica festivals and, in 2015, it will act as host venue for the Turner Prize. Part of Take Me Somewhere.